Sister sing duo, Bellarose, had the opportunity to sing at the Oxford Valley Mall Teen Talent Showcase. 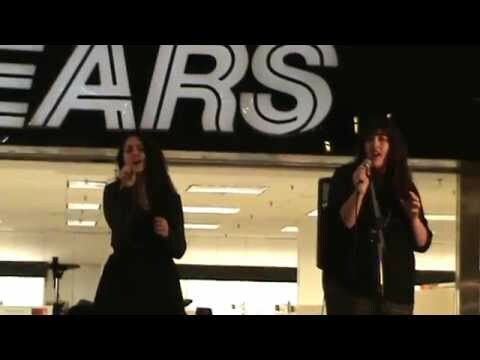 They love the music style of Sara Bareilles and that is why they chose to perform She Used To Be Mine. Won't you please give them a vote if you enjoy their video and be sure to leave a comment. Your support is always appreciated. Aspiring Musician Films Music Video in Back Yard! !